Add the perfect amount of rustic charm to your special event! Luxe Even Linen offers farm table rental in Michigan for customers looking to create a unique design for their next event. Choose from our large selection of farm house tables, chairs, and benches to create a one of a kind rustic design you’ll love. Luxe Event Linen offers high quality event rentals for any occasion. We work hard to provide superior rentals at affordable prices, helping you create the unique look you really want. 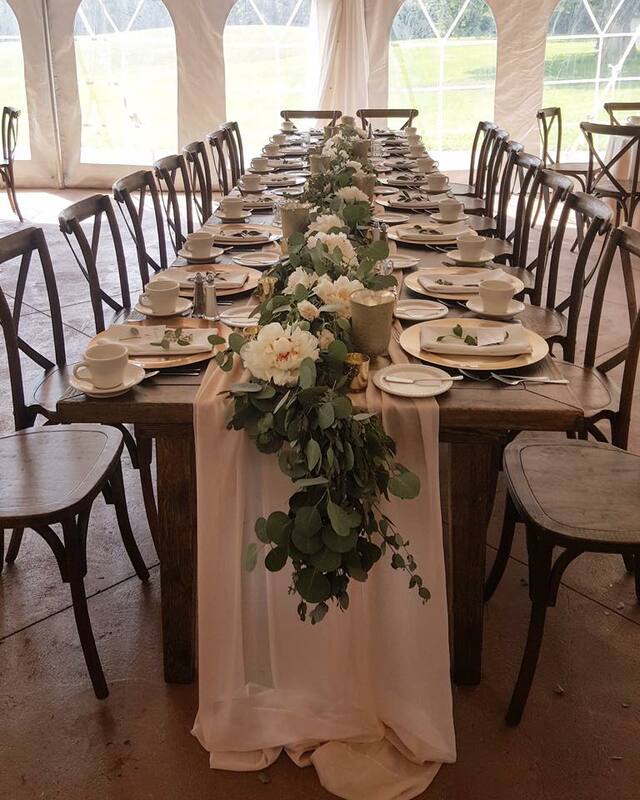 Check out our farm tables for rent and complete the look with our farm house chairs and benches. Customized linens, lighting, and draping can add that simple yet elegant touch. Discover why we have customers throughout Michigan who turn to Luxe Event Linen when they need fantastic designs that fit their budget. We promise to give you outstanding customer service and rental products you’ll truly adore. Call today and speak directly with someone who can give you information about our products, staff and how we set ourselves apart from the rest. Need more than just table designs? No problem! Many clients hire our team for full service. We’ll partner with Metro Detroit’s finest companies to give you all the event services you need. Call Luxe today, and let us take care of all the details.